A skilled historical novelist (Dead Water, 2004, etc.) 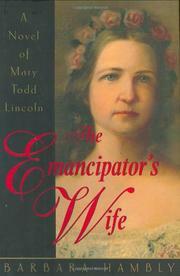 limns an absolutely convincing portrait of Mary Todd Lincoln—and that’s the catch. To be sure, there’s gallantry in Mary Lincoln’s struggle against her demons. But 600-plus pages with a disagreeable woman tends to undercut empathy.